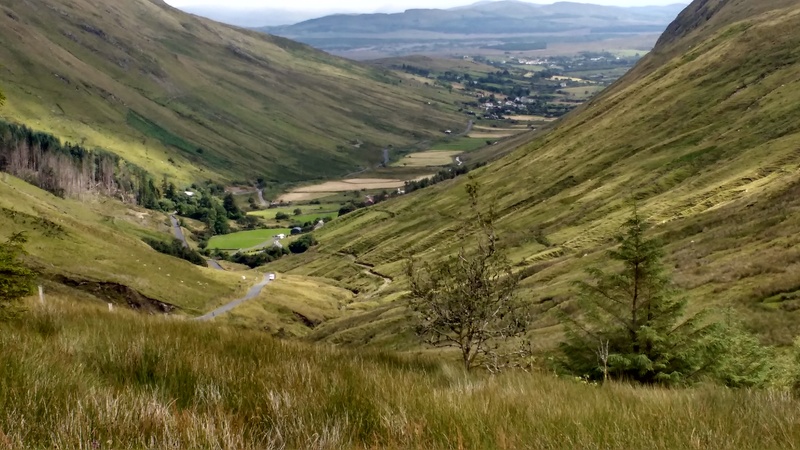 Posted on July 23, 2017, in Ireland End-to-End 1300km and tagged adventure, cycling, journeys, travel. Bookmark the permalink. 2 Comments. 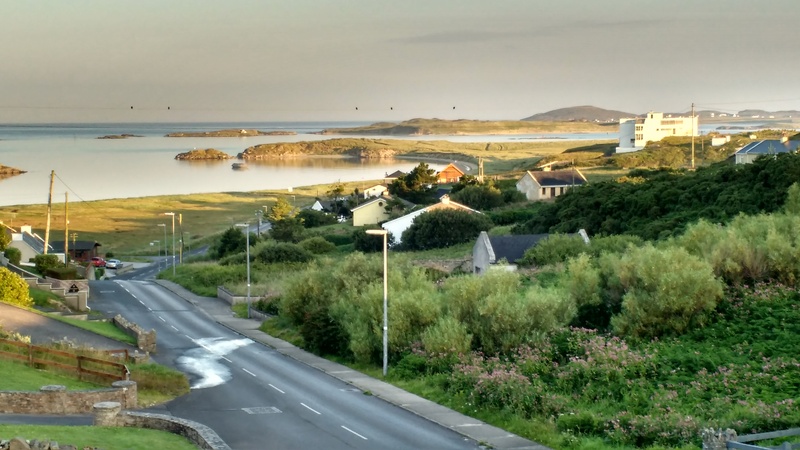 Lovely to see the Atlantic again in that sunwashed light … Yes, Gweedore would be a great Harry Potter inclusion! 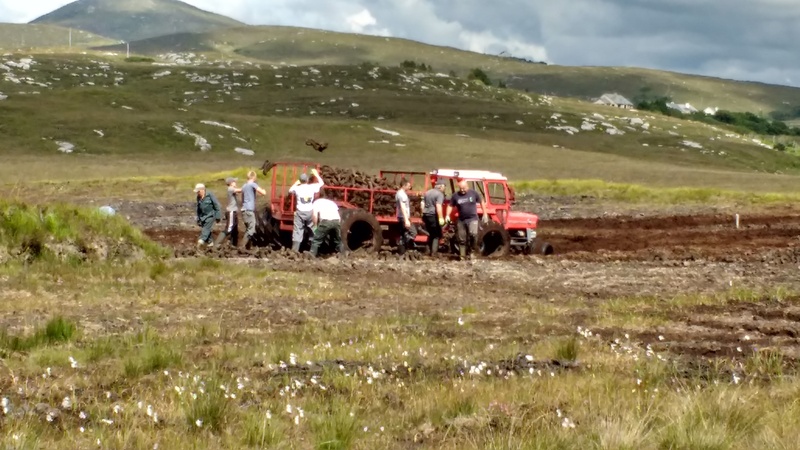 I had to smile at the non-commital reply to your question about the ownership of the grass – that ‘mebbie I do, mebbie I don’t’ reminds me so much of my Fermanagh uncles! Wishing you good luck at your climb north – are you going at far as Bloody Foreland point? 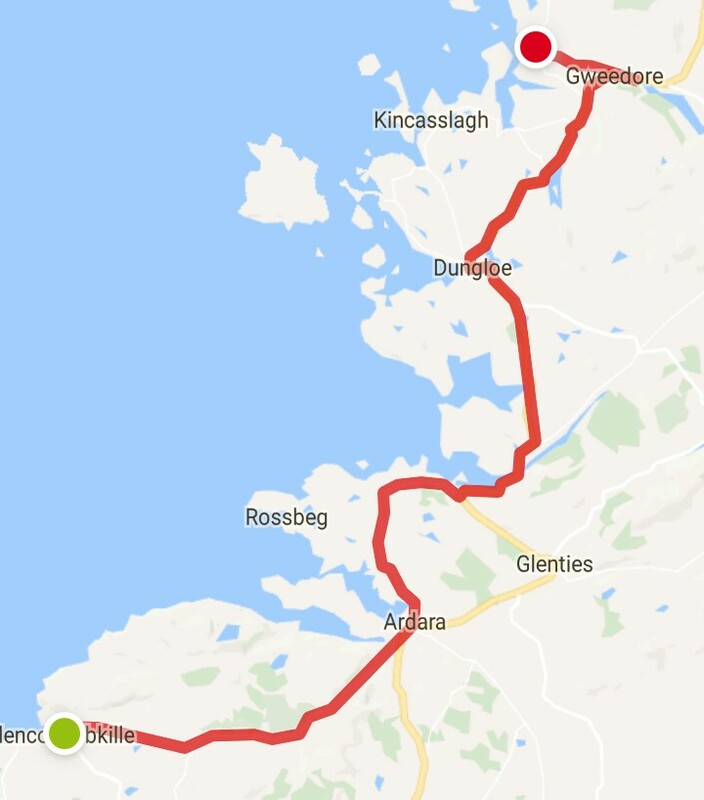 As you’ll see in the next post, I did a big day from Gweedore to Malin (village)…..so I’m almost there. Just beginning to wind down…..So glad you’ve enjoyed following the journey….